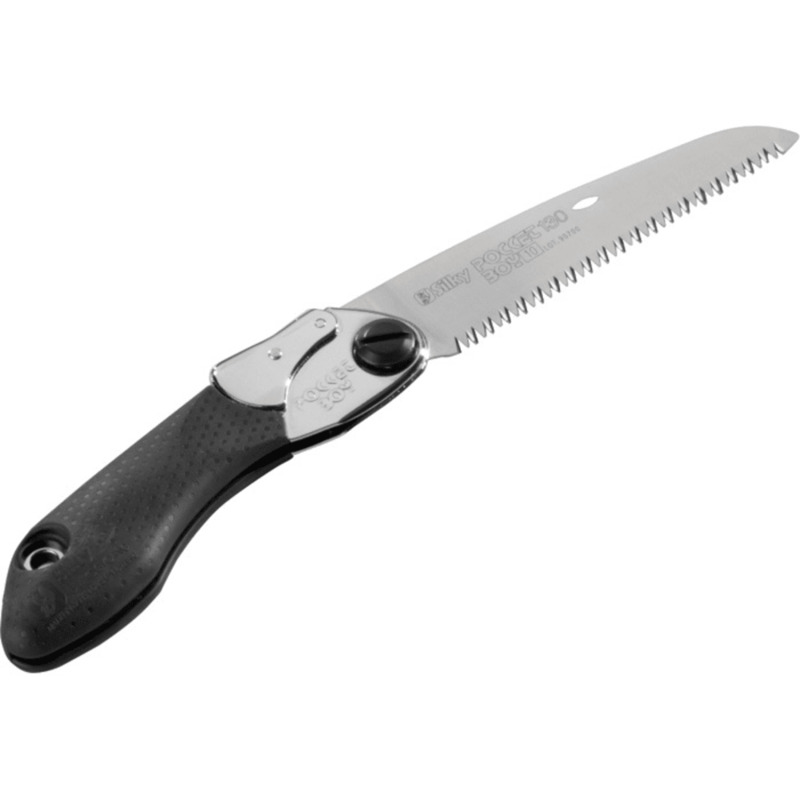 The Silky Pocketboy is a compact folding saw that will take up very little room in a pocket or backpack. This product will be shipped directly from Silky Saw and will leave their warehouse in 2-3 business days. Eligible for UPS ground shipping only. The blade locks securely into one of two open positions, in line with the handle and flush cutting. Comes with a clear plastic flip-lock carrying case with belt clip.